HomeFrugal LivingSlashing the cost of groceries can happen today! Calling your grocery store to ask what time meat, produce and bakery items are clearanced is the first simple step. The difference in savings from shopping what’s on SALE vs. what’s on CLEARANCE is shocking! We used to make a meal plan, ideas for dinners for each day of the week, then I would shop the sale items to best get the ingredients we needed for those meals. But doing this system in reverse has reduced our food bill each month for our family of six in southern California from $1500 to under $300. It shocked us that we are eating even more deliciously and even nutritiously than ever before. Reverse meal planning as I define it below has opened the door to international travel as a family (you can read more about that here). Food is important and indispensable as it relates and adds to the magic of special unforgettable meals, especially around the holidays, but there are also times that food is entirely forgettable and there’s no need to overspend. Can you remember the deli meat sandwich you made for lunch last week? That’s a meal that is forgettable; why not save dramatically on it? Paris, Rome, London….choose the vacation destination of your dreams, and shop this way to make it a possibility! I was recently on the news here in San Diego detailing exactly how this is possible. We slashed over $1,000 off our monthly food budget and we’re eating better than ever! I can’t wait to share with you how you can do this too. This shopping style fits with most dietary needs and preferences. We’re eating more grass-fed beef and more organic produce than we ever had in the past. 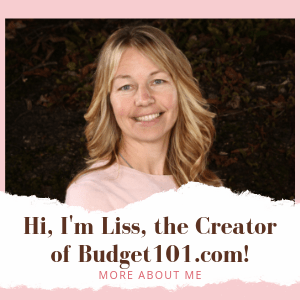 To save a drastic amount of money on food I recommend several steps – they will NOT include couponing, shopping at multiple stores or any other especially time-consuming steps, though if those work for you, wonderful! First, keep in mind the reason you’re wanting to save money. As Dave Ramsey says, “Say no to things you want now so that you can say yes to the things you want most.” Decide what things you want most whether that be getting debt free, early retirement, paying off your mortgage, or any other reason. For us, we’ve been debt free for 8 of the past 10 years, so what we’re focusing on is saving for retirement and lifelong memories from international family vacations. Second, we cut out fast food eating. Third, we asked a very simple yet important money saving question. When preparing for a meal, ask what you have, not what you are in the mood for. Making do with food from your pantry or freezer can make an astonishing difference by eliminating frivolous, additional stops at the grocery store. Call your local grocery store and ask what time of day they clearance meat, produce and bakery items. Shop twice a week (more if you like) if possible closer to the time the marking down of the prices will happen. THEN plan your meals for the week from what you bought on clearance. For example, we now buy bacon very often. Ordinarily, it’s $10.49/pound near us, but when I buy it on clearance, I don’t spend more than 99 cents/pound. If meal planning sounds challenging when prepared from clearance foods, remember that sites like SuperCook.com and MyFridgeFood.com can be helpful. They allow you to input your groceries you have on hand and those sites will generate meal ideas and recipes for them. We are eating better than ever this way and for a fraction of the cost! Organic produce, I’d been shopping in my grocery store for the past five years and simply missed the clearance produce section, now I stop by that stand inside the grocery store every time I’m there. If you’re not sure where yours is, ask. We are eating much more varied ingredients and more unique, diverse meals. We never get bored. The items that are clearance are always different, so it keeps us from getting bored with one meal on repeat. We are eating more grass-fed, organic beef and organic produce than ever before. Our quality of food has only improved. Some readers wonder if shopping this way means the customer is buying expired food. No! Absolutely not. These foods are not expired. Some may be close to expiration, so it’s best to cook it up soon and serve or freeze it in time. But MANY food items that are on clearance are foods that have been lowered because they were misordered and aren’t traditionally sold at that location or the outside of the packaging has been cosmetically damaged – nothing wrong with the contents, simply cosmetically damaged. This is great food at sensational prices! Is It Time to Leave the Gym?